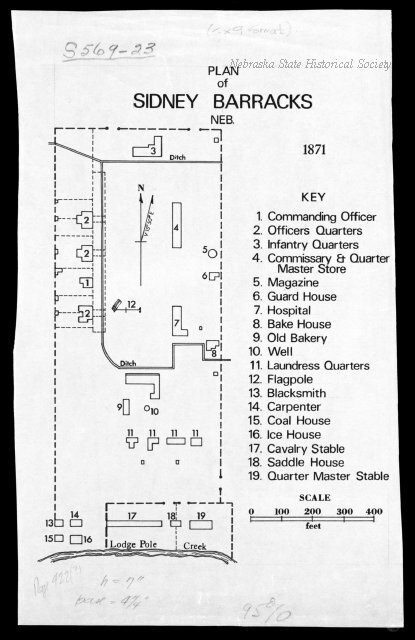 Sidney Barracks, when established in 1867, was a temporary camp with one permanent structure, a blockhouse located to the north. In 1869 the Fort was relocated at this site and in 1870 the name was officially changed to Fort Sidney. 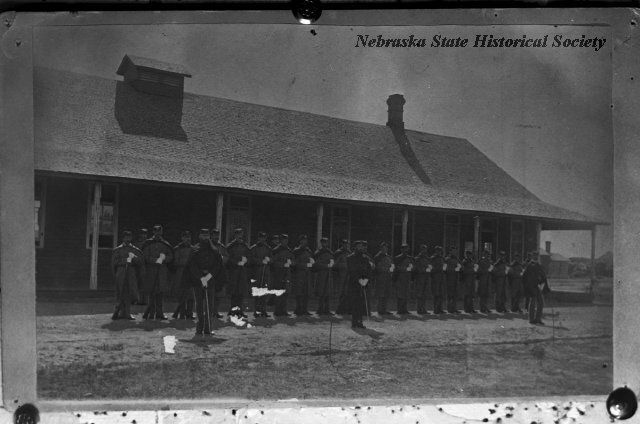 The primary service of the Fort was in protecting construction crews from hostile Indians while building in Union Pacific. 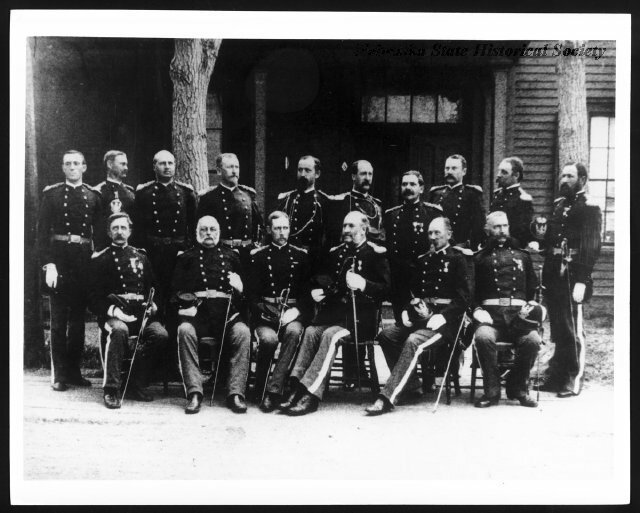 Fort Sidney became a major strategic point on the Plains in the mid-1870's. With the discovery of gold in the Black Hills, the town of Sidney and the Fort became the major supply point. The trail to Fort Robinson and the Black Hills was of strategic importance during the Indian troubles of 1874-1877 in serving freight wagons and stage coaches. At the same time, Sidney was an important trail town and railhead in the picturesque cattle business of the Old West. The last Indian alarm at Fort Sidney was the most dramatic. In 1878 the Cheyenne, under Dull Knife, broke from their reservation in Oklahoma and staged an epic flight across Kansas and Nebraska. A special train was kept ready at Sidney to be rushed either way to intercept the Indians when they came to the Union Pacific. On October 4 the train was rushed to Ogallala, but the Indians escaped into the sandhills. The post closed in 1894 and the buildings were sold in 1899. 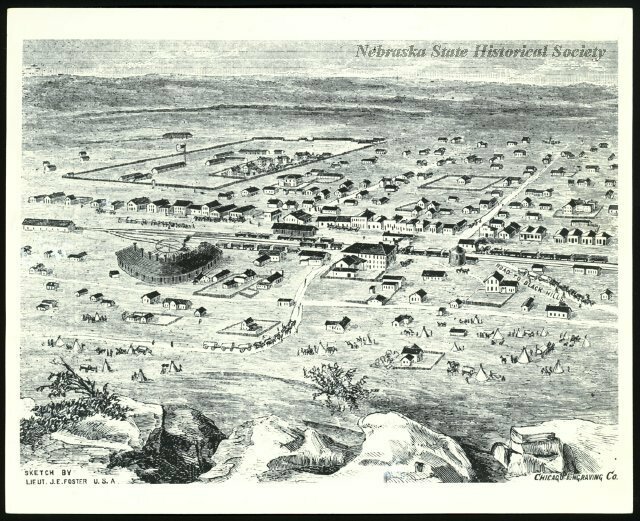 “Fort Sidney,” Explore Nebraska History, accessed April 18, 2019, https://mynehistory.com/items/show/74.